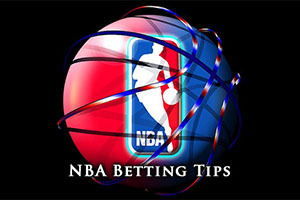 There are four NBA games to look forward to on Thursday, but there was a massive amount of NBA games on Wednesday the 21st of January, so we’ll look back on these games before our Thursday night NBA previews. The Hornets grabbed a narrow home win against Miami, defeating the Heat by a score of 78-76. The Cavaliers downed the Jazz in Cleveland, with the Cavs running out 106-92 winners. The Hawks had an easy time of it, defeating the Pacers 110-91 in Indiana while the Pelicans dealt with the Lakers convincingly by a score of 96-80. The Timberwolves were beaten at home by the Mavericks, by a score of 75-98 and the Kings lost out at home to the Nets, the team from Brooklyn winning 100-103. The 76ers lost at home to the Knicks, the New York side grabbing a 91-98 win while the Pistons grabbed another win, defeating the Magic by a score of 128-118. The Thunder narrowly won in Washington, triumphing by a score of 103-105. The Grizzlies were home winners against the Raptors, defeating the Toronto side by a score of 92-86. The Suns defeated the Trail Blazers by a score of 118-113 and the Warriors dealt with the Rockets by a score of 126-113. The Spurs hold a 27-16 record coming into this game while they have a 12-10 record away from San Antonio. The Bulls also have a 27-16 record coming into this game, and their 12-10 record is the same as the Spurs away record. This means that the Spurs may be the more likely to win this game in Chicago but it does indicate that it could be a close match. The Bulls have lost out in their last two games while the Spurs have won their last 4 games, giving them a 4-1 record in their last five outings. The Bulls hold a 1-4 record in the same period, so clearly momentum is sitting with the Spurs. It’s been a difficult few days for the Bulls, losing 99-107 at home to the Hawks on Saturday and then falling 108-94 in Cleveland on Monday night. This meant that the Bulls had lost 6 in 8 and after this clash with the Spurs; they take on the Mavericks, the Heat and the Warriors. It is a very difficult run of games and the Bulls need to start finding form if they don’t want to be swept away in this run of matches. 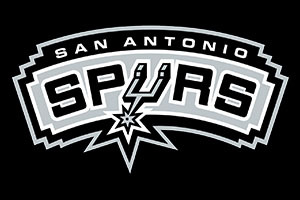 The Spurs have won four on the bounce, with the latest win coming on Tuesday night with the 99-109 win in Denver. Kawhi Leonard has had a positive impact since returning to the Spurs team, and the team has been greatly boosted by his presence. The Spurs have no injury worries for this match but the Bulls are looking at Joakim Noah, Mike Dunleavy and Doug McDermott all possibly being absent for this game. Taking the Spurs at a handicap of -5, with odds of 1.90, should make this an interesting battle in Chicago. Bet Now! The Utah Jazz hold a 14-28 record going into this game, and this includes a 7-16 record away from Utah. They face the Bucks, who hold a 21-20 record away from home, which includes a 9-9 record in Milwaukee. Both teams are coming into this game feeling slightly down as the Jazz have lost their last two games while the Bucks were defeated in their previous game. The Jazz hold a 1-4 record in their last five games while the Bucks have a 3-2 record in their last five outings. The Bucks lost out to the Atlantic Division leaders Toronto on Monday night, losing 89-92, but the form of Ersan Ilyasova, who grabbed 31 points was a positive element for the team. The Jazz have been on the road in their last two games, and it hasn’t been going too well. The Spurs routed them by a score of 89-69 and then on Wednesday night, the Cavaliers were comfortable in Cleveland with a 106-92 win. There are no major injury concerns for either of these two teams for this match. You would favour the Bucks to see the game out but taking the Jazz with a +7.5 handicap, at odds of 1.90, looks to be a sensible bet for anyone looking to enjoy their Thursday night betting opportunities. Bet Now! The Celtics have a 13-26 record coming into this match, and this record contains a 4-13 record away from home. The Trail Blazers meanwhile hold a 31-12 record for the campaign so far and their home record stands at 19-4. This is a game that should go the way of the home team, the only issue is the size of the handicap you way to bet on. In saying that, both teams come into this game on the back of a loss. The Trail Blazers lost their last outing while the Celtics have lost three on the spin. The five game record for both sides stands at 1-4 for the team from Boston and 1-4 for the Trail Blazers, so this is a game where both teams will be desperate to get back to winning ways if they can. The Trail Blazers had a tough Wednesday night loss away to the Suns, going down 118-113 while the Celtics have been inactive since Monday, when they lost 102-93 in Los Angeles to the Clippers. James Young is being closely monitored on a daily basis for the Celtics while Portland could be without Robin Lopez and Joel Freeland while LaMarcus Aldridge is being monitored on a daily basis. The Trail Blazers have been off form of late but so have the Celtics, and you can see the Portland team taking a lot of points off their Boston opponents so taking Portland with a reasonable negative handicap is likely to pay dividends. Bet Now! The only other NBA game on Thursday sees the Brooklyn Nets travel to the Los Angeles Clippers, a game the home team should be able to wrap up convincingly.